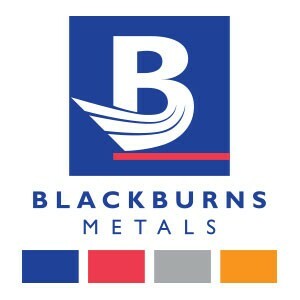 Blackburns is one of the UKâs leading nationwide stockholders with eleven Service Centres position around the UK, supplying Aluminium, Stainless steel and other semi finished non-ferrous products. Its name is synonymous with high quality and service levels throughout both industry and the commercial sectors with a reputation for innovative products and supply solutions. With a comprehensive range of sign components together with âkitâ and âsemi fabricationâ options, sign makers are able to choose between buying individual components such as aluminium painted sheet,Composite panels, acrylic cast sheet, rails, fixing systems or posts as separate items, or in kit form with bespoke fabrication. The product range continues to grow in line with customerâs demands including the inception of our new range of A-cast acrylic sheet, which can be supplied in bespoke sizes, finishes and colours with full technical support.